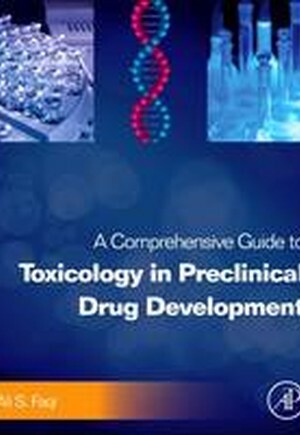 A Comprehensive Guide to Toxicology in Preclinical Drug Development is a resource for toxicologists in industry and regulatory settings, as well as directors working in contract resource organizations, who need a thorough understanding of the drug development process. Incorporating real-life case studies and examples, the book is a practical guide that outlines day-to-day activities and experiences in preclinical toxicology. This multi-contributed reference provides a detailed picture of the complex and highly interrelated activities of preclinical toxicology in both small molecules and biologics. The book discusses discovery toxicology and the international guidelines for safety evaluation, and presents traditional and nontraditional toxicology models. Chapters cover development of vaccines, oncology drugs, botanic drugs, monoclonal antibodies, and more, as well as study development and personnel, the role of imaging in preclinical evaluation, and supporting materials for IND applications. By incorporating the latest research in this area and featuring practical scenarios, this reference is a complete and actionable guide to all aspects of preclinical drug testing.